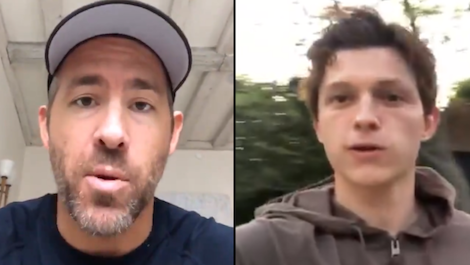 From Ryan Reynolds to Tom Holland, these Marvel icons have all come together to record a special message for a very special and loved fan, and it has made our hearts feel so warm and full. An Australian fanatic of Marvel, called Josh, was unfortunately diagnosed with terminal brain cancer earlier this year, and was told that he had only a few months to live. Josh’s family were devastated by this but wanted to make sure that Josh’s last few months were enjoyable, and that everything on Josh’s bucket list got ticked off. Because everybody knew that Josh was the biggest Marvel fan ever, his family decided to put out a social media campaign, asking people to share Josh’s story, in the hope that some members of the Marvel team would assemble and make a video for Josh, giving him a message that he can keep with him forever. Of course, with the power of social media, the message reached a few members of the Avengers, and many heroes got involved and created such a beautiful video with a range of messages that showed Josh just how special he is. These words of courage have completed Josh’s bucket list, and it’s such an amazing act of kindness for this amazing boy. We think Josh is the real hero here, and we give our love to Josh and all of his family. If you’d like to read more about Josh’s story, you can find it on Facebook here. For more heart-warming stories, follow us on Twitter at @WhatsTrending.